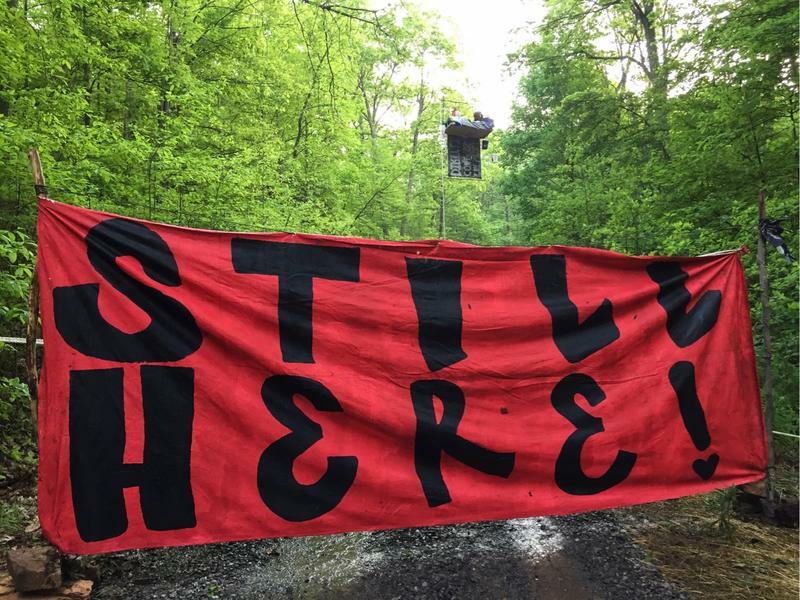 Fern MacDougal sits in a new aerial blockade errected in Jefferson National Forest near Narrows, VA. Protesters in Jefferson National Forest erected a new protest site today aimed at blocking construction of the Mountain Valley Pipeline. Fern MacDougal is the latest in a string of protesters to take to the trees in protest of the 303-mile pipeline. "This pipeline will catalyze the growth and expansion of gas extraction across Appalachia, an industry which has already caused permanent harm to many communities," she said. "We are dedicated to resisting this reckless endangerment of the land and people as long as MVP continues to operate." The new blockade is a 30-foot-tall platform suspended in the forest. Protesters say it’s hindering construction of an access road and boring site associated with the Mountain Valley Pipeline. Other protestors are currently camped out in trees along the pipeline’s path. That includes a tree-sit near the ridge on Peters Mountain and a monopod blockade on Pocahontas Road. The project also faces legal challenges by landowners. Construction of the Mountain Valley Pipeline is currently halted because of recent heavy rains. The pipeline developer was cited for erosion control problems in West Virginia last month. A request for comment from the pipeline developers was not immediately returned Monday. The Mountain Valley Pipeline project has been cited for failing to control erosion at two work sites just two months after construction started on the more than 300-mile (483-kilometer) pipeline through Virginia and West Virginia. Following heavy rains, construction at a Mountain Valley Pipeline site in Virginia has been suspended until erosion control measures are established. 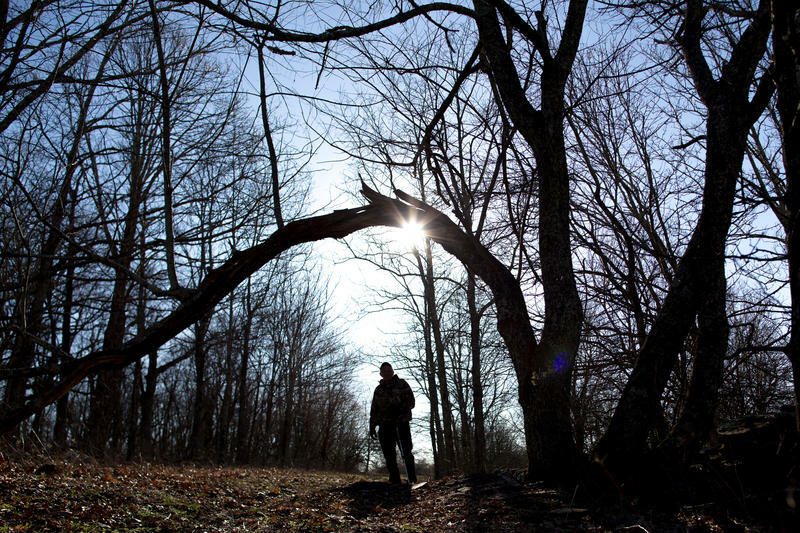 Since late February, a small group of people have been quietly perched in two trees atop Peters Mountain in Monroe County. They are so remote, few have seen or heard directly from the protesters, but still there’s plenty of people noticing.